Here's one reason not all buildings are equal in an earthquake. This activity graphically demonstrates that objects of different sizes and stiffness tend to vibrate at different frequencies. 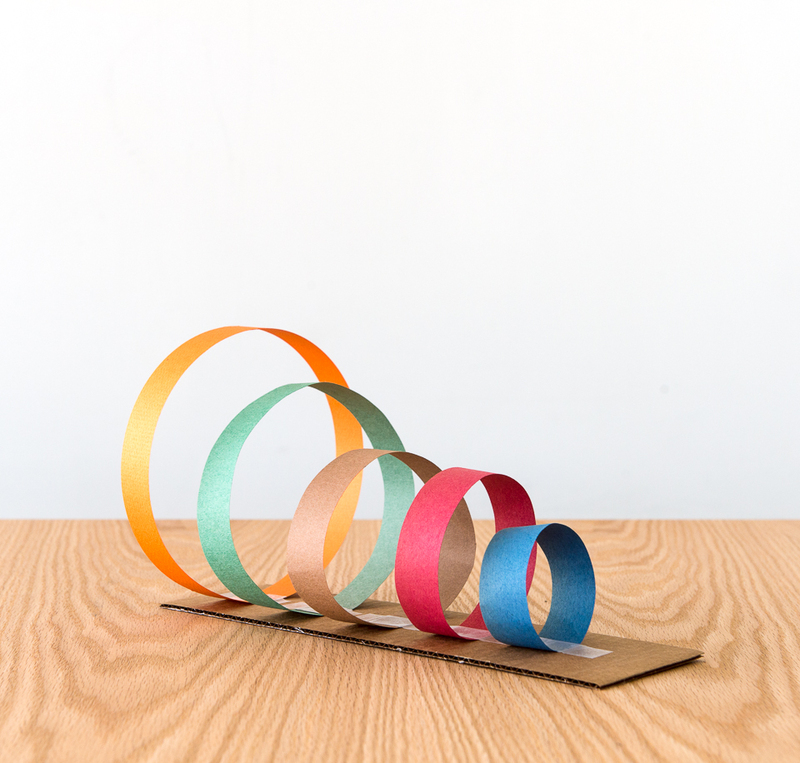 Cut four or five 1-in (2.5-cm) wide strips from the construction paper. The longest strip should be about 20 in (50 cm) long, and each successive strip should be about 3 in (8 cm) shorter than the preceding one. Form the strips into rings by taping the two ends of each strip together. Tape the rings to the cardboard sheet as shown in the image above. Shake the cardboard sheet back and forth. Start at very low frequencies and slowly increase the frequency of your shaking. Notice that different rings vibrate strongly, or resonate, at different frequencies. The largest ring will begin to vibrate strongly first, followed by the second largest, and so on. The smallest ring starts to vibrate at the highest frequencies. The rings will also have different resonant frequencies if you shake the board up and down instead of sideways (click to enlarge diagram). The frequencies at which each ring vibrates most easily—its resonant frequencies—are determined by several factors, including the ring’s inertia (mass) and stiffness. Stiffer objects have higher resonant frequencies, whereas more massive ones have lower resonant frequencies. The biggest ring has the largest mass and the least stiffness, so it has the lowest resonant frequency. Put another way, the largest ring takes more time than the smaller rings to respond to an accelerating force. During earthquakes, two buildings of different sizes may respond very differently to the earth’s vibrations, depending on how well each building’s resonant frequencies match the “forcing” frequencies of the earthquake. Of course, a building’s stiffness—determined by the manner of construction and materials used—is just as important as a building’s size. You can make the vibration frequency audible and more obvious by cutting a 1-in (2.5-cm) section of a plastic drinking straw, inserting a BB pellet into it, taping paper over the ends of the straw, and taping the straw to the cardboard sheet parallel to the end. As you shake the sheet, the BB will tap against the ends of the straw at the same frequency as your vibration. Build a cuíca—a musical instrument—and play with vibrations! Explore resonance to discover how objects vibrate at certain frequencies.